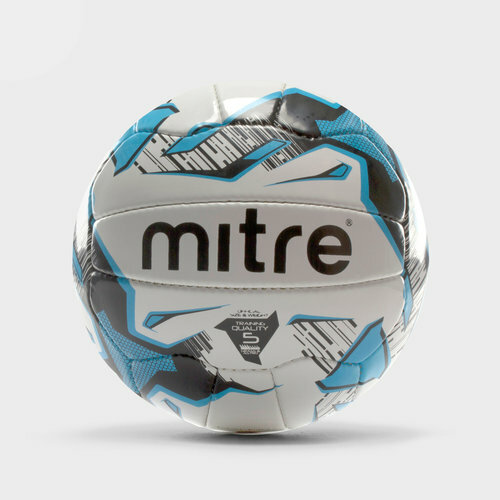 A ball for the players on any pitch, be sure you're playing with this Mitre Malmo Plus 18 Panel Training Football in White, Black and Cyan. This training football comes made from a high density PVC to withstand regular use in all types of weather. With an 18-panel stitched design, you can be sure that this training ball can perform on any surfaces. From a brand that's long been synonymous with football, make sure you're scoring goals with this Mitre Malmo Plus 18 Panel Training Football.